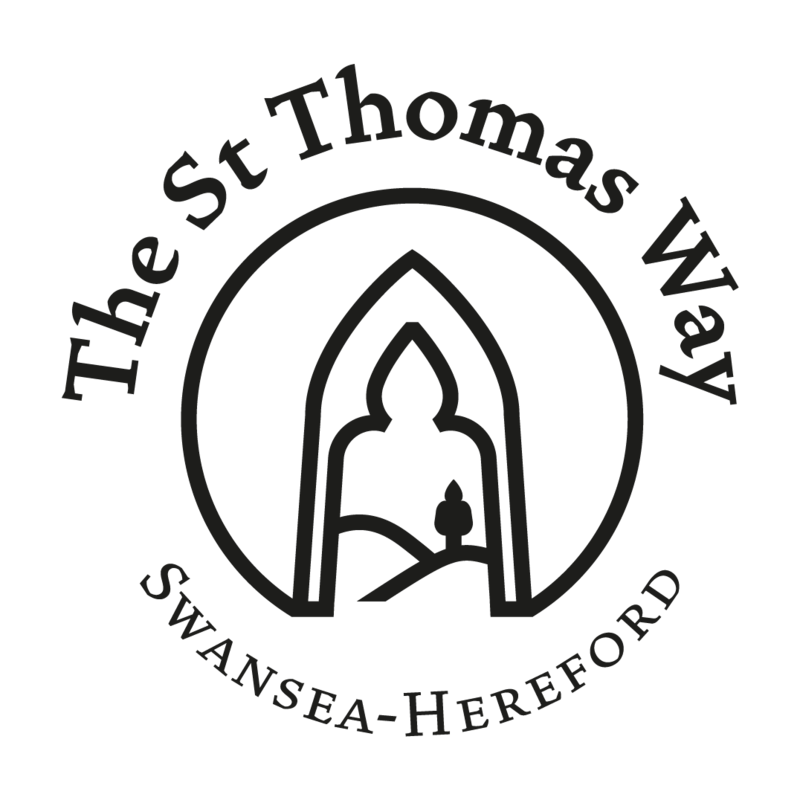 The Re-Making Maps of the Mind art exhibition accompanies the launch of the new heritage trail through the South Wales and Herefordshire border area: the St Thomas Way. 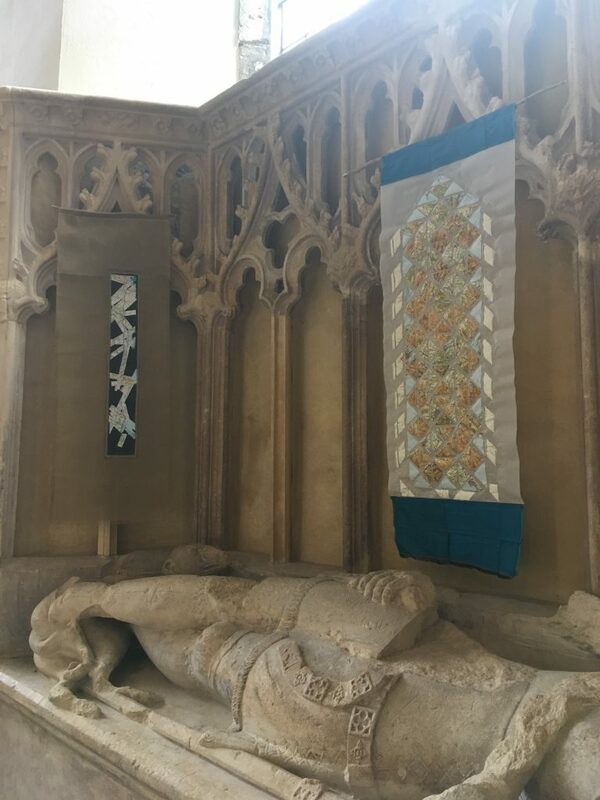 The exhibition is a collaborative project between Project Lead, Chloë McKenzie (St Thomas Way Research Fellow, University of Southampton) and artist-in-residence, Michelle Rumney. The project was funded by the Public Engagement with Research Unit (PERu), at the University of Southampton. 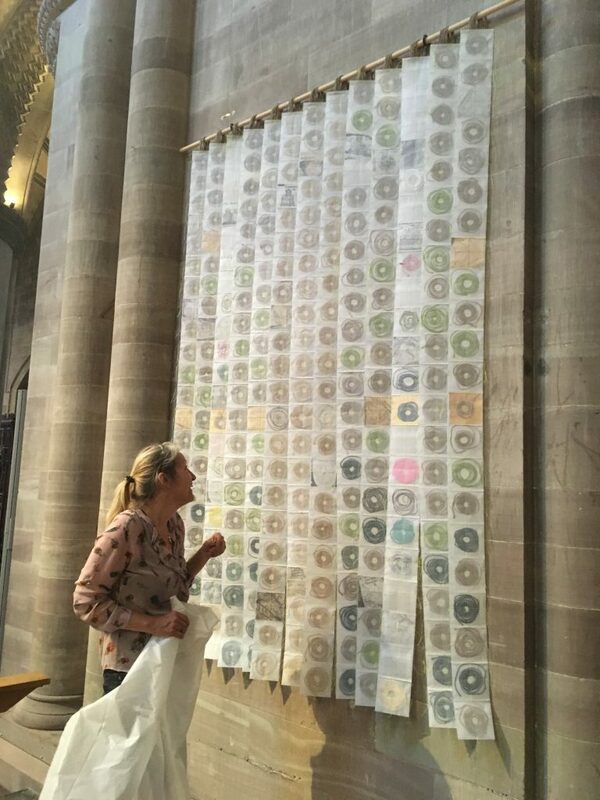 In creating the artwork, Michelle Rumney, built on research conducted for the St Thomas Way, and drew inspiration from modern printed maps as well as medieval maps, such as the Hereford Mappa Mundi. 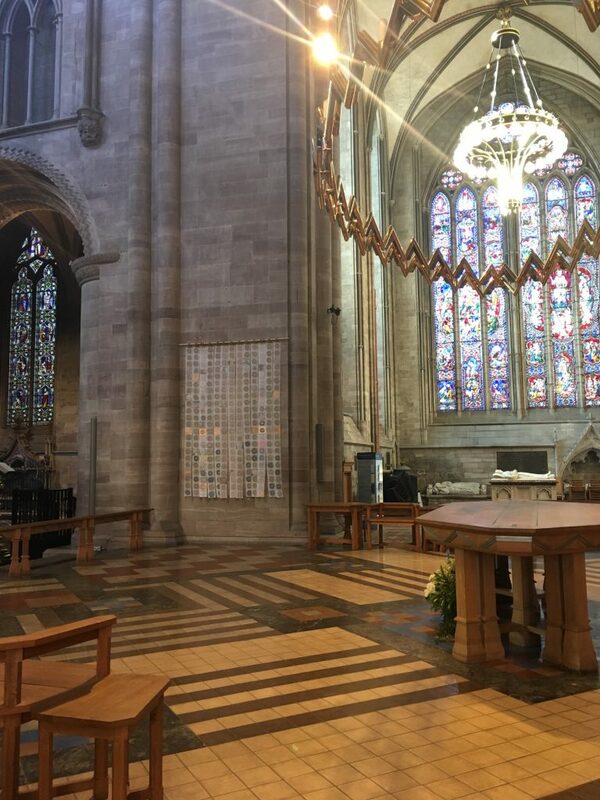 The story of the hanged Man, William Cragh, also found its way into the artwork, as Michelle explored the medieval practice of ‘Measuring to the Saint’. Re-Making Maps of the Mind invites visitors to creatively consider and explore notions of mapping and journeying. To read more about the artwork, visit Michelle Rumney’s website and read her blog.